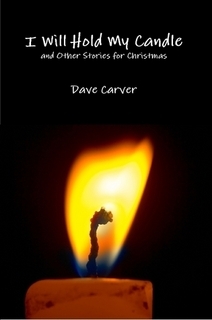 I Will Hold My Candle and Other Stories for Christmas is the title of a volume of original Christmas stories. Each year since my ordination, I have written a short story to tell the congregation during the Christmas Eve service. Some of these stories are set in a time long ago or far away, while others are framed in a more more contemporary setting. Writing these stories has been a real blessing to me, as they have helped me to enter more fully into The Story. In the two years since its publication, I have heard from a number of people that it has been a helpful Advent devotional. Currently, this volume is available online through Lulu.com’s website. Amazon.com, Barnes and Noble, or other book retailers. Better yet, copies can be ordered from our friend Byron Borger at Hearts and Minds Books, either in person (Dallastown, PA) or via his website. If you’d like to purchase in bulk, let me know and we can surely get you a discounted price. If you’d like a sneak peek at one of my favorites, check out “Hasn’t Anybody Seen Jesus?”, written for Christmas Eve 2004.